In this tutorial, I show you how to blend text into an image with Photoshop! 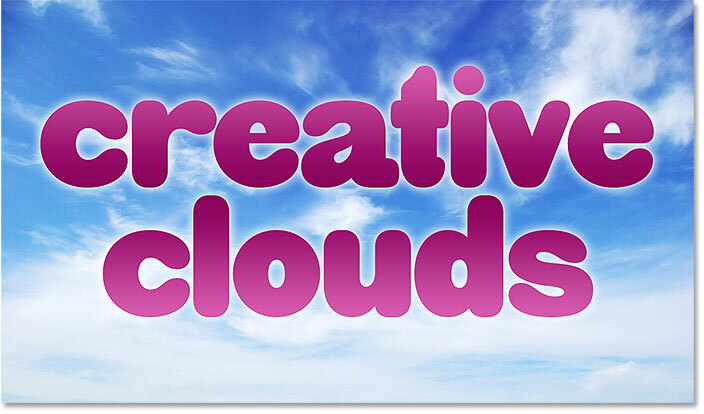 Specifically, we'll learn how to blend our text into clouds, making the text look like it's floating in the sky, with clouds passing in front of the letters. 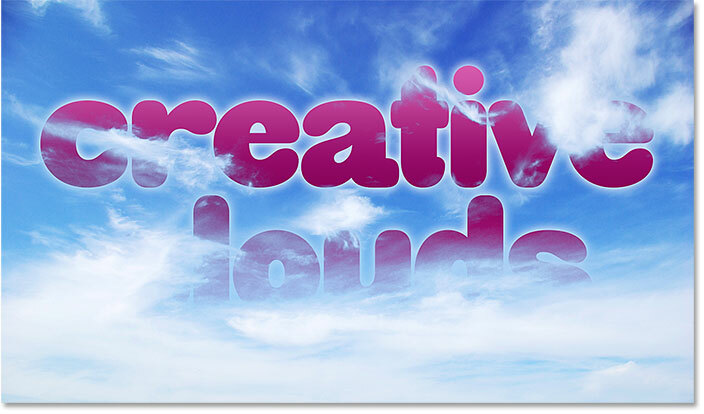 As we'll see, blending text into clouds, or into any background, is easy. All it takes is an image, some text, and a slider in Photoshop's Blending Options. Once you know the steps, you'll be able to quickly blend text into any background you like. Let's see how it works! I'm using the latest version of Photoshop CC but every step is fully compatible with Photoshop CS6 and earlier. 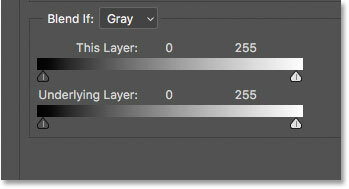 Turning on the Type layer in the Layers panel. 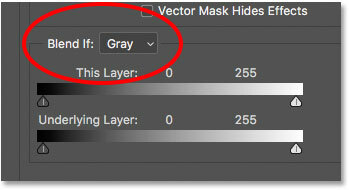 The "Blend If" sliders in the Layer Style dialog box. Blend If should be set to Gray. 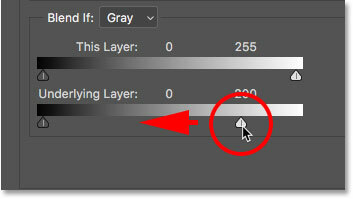 Dragging the white "Underlying Layer" slider to the left. The initial effect looks pretty bad. Splitting the slider created a more seamless blend between the clouds and the text. 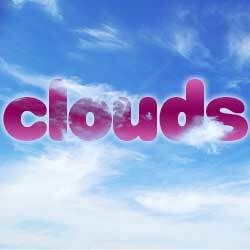 So far, we've only used the white slider to blend the clouds in with the text. But there's also a black slider below the left side of the "Underlying Layer" gradient bar. The white slider blends the lightest parts of the image in with the text, while the black slider blends in the darkest areas. If we were blending a different type of background into the text, then we might also want to blend in the darker areas. We could do that by dragging the black slider towards the right. Holding Alt (Win) / Option (Mac) while dragging the black slider would split the slider in half to create a smooth transition, just as we've seen with the white slider. But in this case, all we would end up doing is blending the darker areas of the sky into the text, which wouldn't look right. We only want to blend in the clouds. 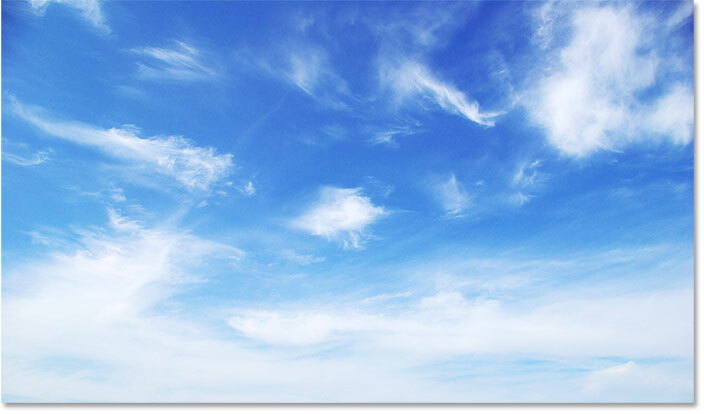 Since the clouds are the lightest parts of the image, the only slider we need for this effect is the white one. Fine-tuning the effect by adjusting each half of the slider. The final result with the text now floating in the clouds. And there we have it! 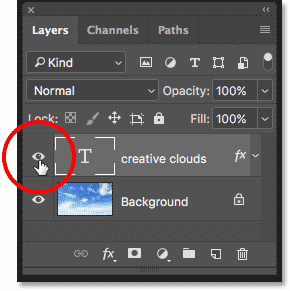 That's how incredibly easy it is to blend text into clouds, or into any background image, using the Blending Options in Photoshop! 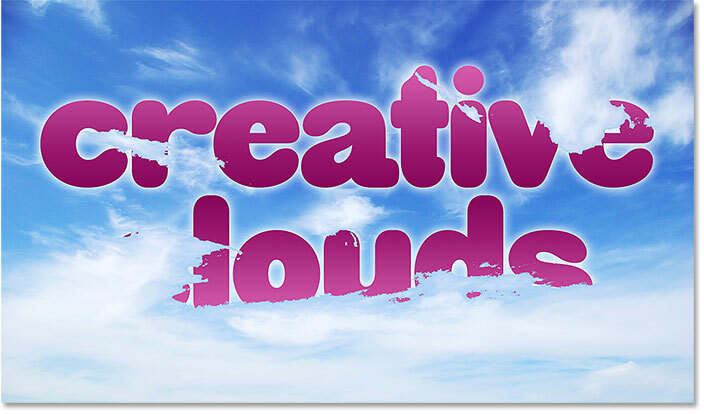 Be sure to check out our Photo Effects and Text Effects sections for more tutorials!